Rare promo CD single of Better Things. Formats: CD, Vinyl, Cassette. View Discography Entry. Much in the same way that Sinead O'Connor would gravitate towards the raw hard-hitting bassline in A Prayer For England, Tracey Thorn also appreciated the hard and raw bassline Massive Attack sent her as a sample to write her own lyrics and melody over, surprising Massive Attack initially over why she would choose such a bass heavy song which could overpower the rest of the song, but in the end turned it into something quite special. The bassline for the song was almost certainly a product of Daddy G's love of deep rumbling dub basslines. 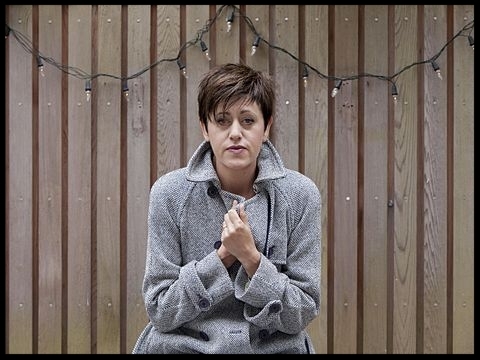 Unlike the other two Tracey Thorn sung songs, Protection and The Hunter Gets Captured By The Game, Better Things includes the other half of Tracey Thorn&rsquo;s band Everything But The Girl's Ben Watt on song-writing and guitar duties. Better Things was at one point (by looking at early promo shots of Collected), going to be included on Collected in the place of Sly. This was however changed before the release date. Much like its sister track Protection, Better Things has very rarely been played live due to the fact that Tracey Thorn has never toured consistently with Massive Attack. There were apparently a handful of dates played during the 1995 tour in England where Tracey Thorn was present and played both Better Things and Protection but this has never happened since. The only confirmed live appearance of Better Things was on the Later With Jools Holland show on the BBC which was broadcast on the 5th May 1995. The Eno Mix – This is another one of the Mad Professor's dub reconstructions of the songs off Protection. First included on No Protection in early 1995. Better Things uses a sample from James Brown's song Never Can Say Goodbye which is taken from his 1972 album "There It Is". It is credited officially be Massive Attack. Tracey Thorn of the band Everything But The Girl who Massive Attack worked with on both Better things and Protection.